Mia Čorak was born in Croatian town of Brod na Savi on 20th February 1916. Her father was Milan Čorak, a renowned pharmacist originating from the region of Lika, and her mother was Hedviga Čorak, born Palme. At the age of one she moved with her parents to the city of Zagreb, where they lived in Jurjevska street. Her fascination with ballet and active dancing started already at the age of four, with extremely successful public appearances. In 1928, at the age of twelve, she became the soloist of the Croatian National Theatre in Zagreb. The same year she was specialising in Vienna and Paris. 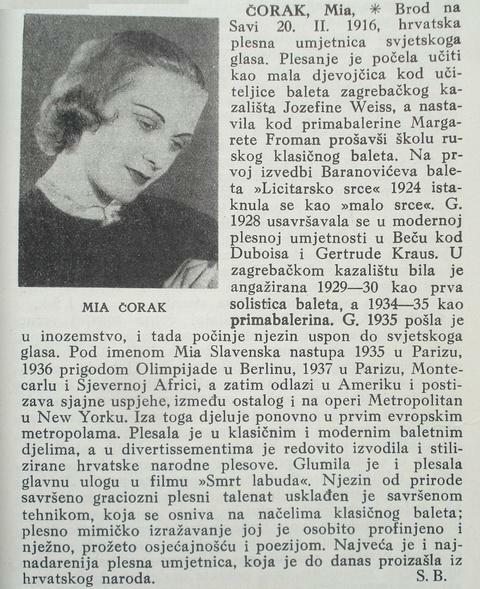 The same year she had her solo public appearance in Zagreb entitled "Dancing evening of Mia Čorak", where she was not only the dancer, but also the coreographer, and creator of costumes. The same year she danced in the role of the princess in Igor Stravinski's "Žar ptica" (Firebird). 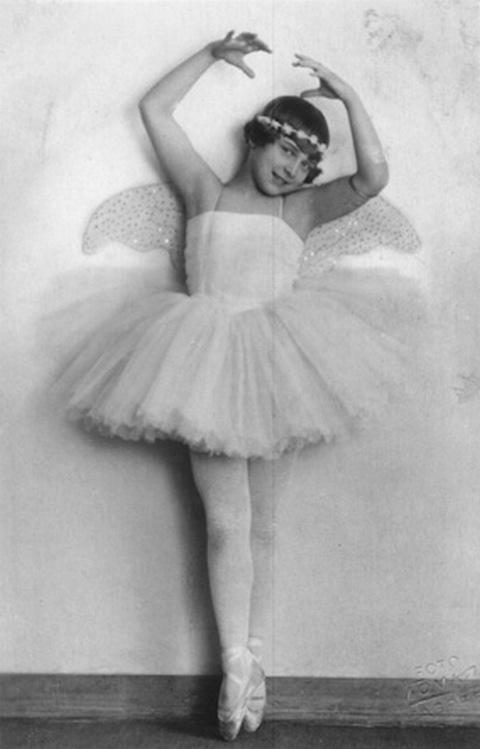 Her first ballet steps started in Zagreb at the age of four with Jozefin Weiss, and her very fast development was a result of the presence of very good Russian ballet masters in Croatia, in particular of Margarita Froman who directed the ballet school in Zagreb since 1921, and of course, of her enormous individual talent. In 1929 the youngest soloist of the Zagreb ballet had a humanitarian dancing night for the Children's Home of the Society of Croatian Women-Teachers. Mia Čorak in Croatia's capital Zagreb as a child dancing prodigy. In 1930 a Ballet Night of Mia Čorak was organized in Sarajevo in Bosnia and Herzegovina, and then the same year in Zagreb, this time with Anton Vujanović, her good friend and colleague, and since then her regular dancing partner. In 1931 she was at the age of 15 only, when the press marked ten years of her active dancing. It is interesting that at that time she began to bear the name of Mia Čorak Posavska (i.e., of the Posavina, that is, after the region near the river Sava, where she was born and where she currently lived - known for its specific national dances, colorful and elegant folk costumes and beautiful singing). Five years later, in 1936, during her trimphant appearance in Berlin, she changed her artistic name to Mia Čorak Slavenska. Mogu reći da osjećam svuda traženje novih putova, no držim da pravi put još nije nađen. Priklanjam se smjeru koji spaja klasičnu umjetnost s modernom, bilo da gradi moderan ples na temelju tehnike klasičnog baleta, bilo da oslobodi klasični ples njegove same dekorativne i pomalo šablonske vanjske forme u želji, da ga produhovi na način modernog plesa. Da vam to potpuno pojasnim, trebala bih vas upoznati prije svega sa studijem plesne umjetnosti, koji je vrlo težak i raznovrstan. Možda će vam biti jasno ako vam kažem da pod tim shvaćam postavljanje plesa na ritam, a ne na sadržinu muzike, zatim postavljanje na potpuno geometrijsko-matematičke baze s dekorativnim kretnjama i kostimima. Trebalo bi potpuno promijeniti sistem obuke plesača, pogotovo početnika. Osim toga, trebalo bi ih naučiti da nije ples produciranje svog umijećan, nego umjetničko proživljavanje. 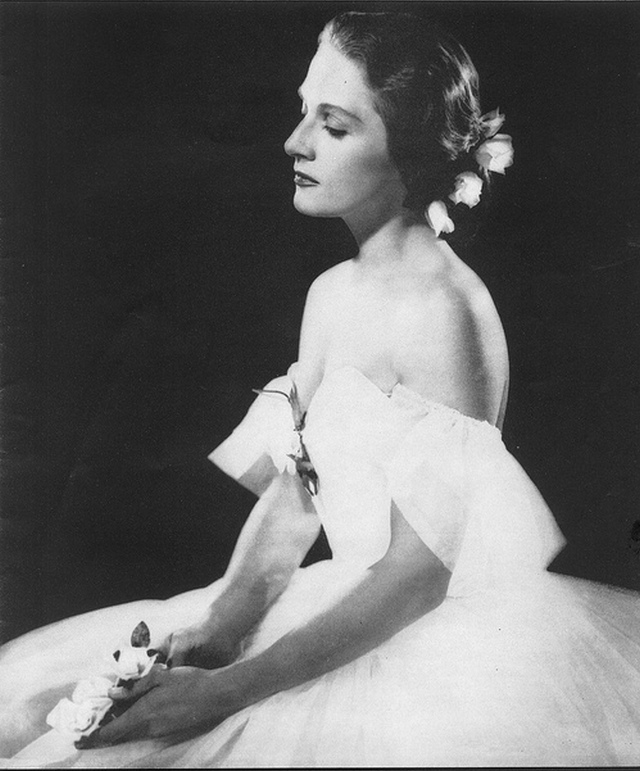 In 1934/35, at the age of 18, she became prima ballerina of the Croatian National Theatre in Zagreb. She was the first Croatian dancer in history bearing this title. In 1935, that is, already at the age of 19, she has founded her own ballet studio, Mijina škola or Mia's School, for young gifted dancers, starting with the age of five. Some of them later became professional dancers, like their teacher. In 1935, at the age of 19, she wrote a public letter which had fatal consequences for her career in Zagreb. Her extensive letter was an answer to an article written by an anonymous author (F.C.) in ex-Yugoslav capital Belgrade, and published there under the title "Statistical parallels between Zagreb and Belgrade theatres during the season 1934/1935." In short, since the anonymous did not mention the dancing art at all, Mia objected to F.C. in her letter that "the article represents a sign of disrespect for the dancing art in our cultural centers..." This public letter was considered as unpardonable error to call over a Belgrade author, which as such was considered as politically incorrect, although the letter itself does not go in the slightest outside the theme of ballet. However the letter did not spare anybody, not even influential cultural circles in Zagreb itself. The letter, published in a Zagreb daily newspaper, can be seen in [Đurinović & Podkovac, pp. 42-45]. The letter was a result of her short, but bitter experience with local administration in Zagreb, which at that time was controlled from Belgrad. For example, she had to finance her solo appearances from her own resources. Luckily, all these solo appearances (20 of them) were always in front of completely filled audience. Especially dramatic was her last public appearance in Zagreb (mentioned as such in [Đurinović & Podkovac, p. 42]), after which she emmigrated from ex-Yugoslavia. It occured during her "Evening of dancing art" at the Croatian National Theatre in Zagreb in 23 January 1936, dedicated to the memory of legendary Ana Pavlova, who died five years earlier. a humiliating 1934 bill from ex-Yugoslav administration requiring from Ivan Varga in Croatian North (Međimurje, village of Donja Dubrava), to pay the "expenses" for five bullets when his father was assassinated! There are probably other unknown reasons as well, why Mia Čorak Slavenska became persona non grata in ex-Yugoslavia, not only until 1941, but also continuously since 1945 until 1990. It seems to us that there are still many details concerning her personal biography to be revealed. Certainly, the arogance and low blows of cultural and political circles in Belgrade and their poltrones installed in Zagreb, were decisive for young Mia to decide to leave ex-Yugoslavia. Since 1935 she lived in France, where for many years she was the leading ballerina of the famous Ballet Russe of Monte Carlo. She soon became worlds famous ballet dancer. One of her highest achivements was the main role in the ballet film La Mort du Cigne (or Ballerina in the USA). It is considered to be the best ballet film ever. After her dancing appearances in Paris, Montecarlo, Berlin and South Africa, in 1937 she moved to the USA. She appeared among others in the Metropolitan Opera in New York already in early 1940s. 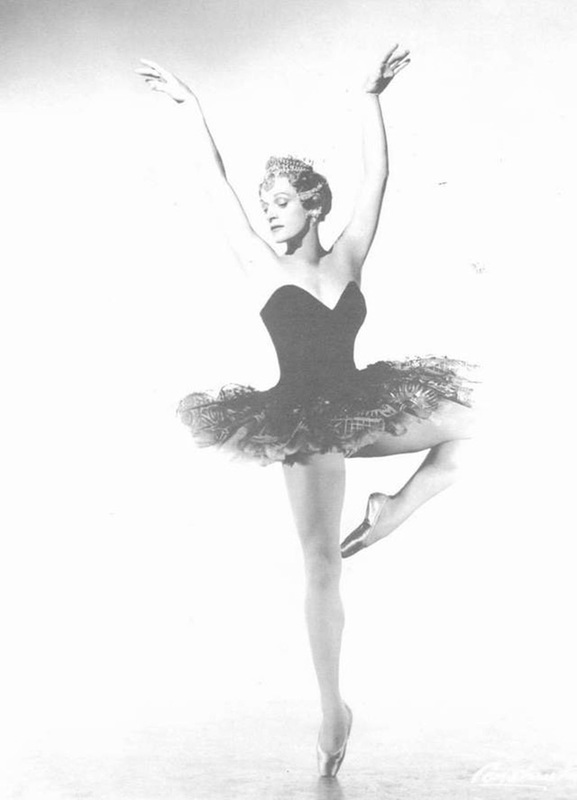 She founded her own ballet Company called Ballet Variante in Hollywood in 1944. She gained American citizenship in 1947. In 1950 she founded Slavenska-Franklin Ballet Company together with Frederic Franklin. From 1952-1954 she directed this company, which was a small ensemble. It is very famous to have abriged a well known film "A Streetcar Named Desire" (made according to novel by Tenesee Williams) in the form of ballet. It was shown extremely successfuly throughout the USA, and even in Japan, where this the Slavenski-Franklin Ballet was proclaimed as the best dancing company that ever visited this country. Creating this ballet was her idea, and she suggested Valerie Bettis as coreographer. The Slavenska-Franklin Ballet opened completely new perspectives in the history of ballet. It is to be hoped (and expected) that the Croatian biographical monograph [Đurinović & Podkovac], which had been supported by the Croatian Ministry of Culture, could be complemented by an American monograph, prepared or supported by an American cultural institution, which could provide more details about her life and work, especially in the USA. We can find a nice article about her in Croatian Encyclopedia, in Vol. 4 published in 1943, written by Slavko Batušić. We stress this because during the ex-Yugoslav period her name was almost forgotton. In 1954/55 she becam the prima ballerin of the Metropolitan Opera in New York. She opened her ballet studio in New York in 1960. In the period from 1969 to 1983 she taught at the famous UCLA (University of California, Los Angeles). She also at the California Insitute of Arts (CalArts) from 1970 to 1983. Her dancing partner during many years, first in Zagreb and then in France, was Anton Vujanović. Distinguished Croatian painter Maximilian Vanka made a portrait of her, and it was exhibited during retrospective exhibition in Zagreb in 2002. Vanka emigrated from the ex-Yugoslavia to the USA in 1934, a year before Mia Čorak Slavenska. Mia Čorak Slavenska was a teacher to numerous distinguished dancers, like to Maria Tallchief, Yoko Ichino, Mitzi Gaynot, Marion Scott, Pearl Lang, Louis Ellyn, Salvatore Guida, and collaborated with such coreographers like Donald Byrd and Meredith Monk. From 1955 to 1960 she appeared on TV at the National Broadcassting Company Spectacular. She was a guest at The Firestone Hour, The Ed Sullivan Show, and at The Bell Telephone Hour. Maja Đurinović, Zvonimir Podkovac: Mia Čorak Slavenska, Naklada MD, Matica hrvatska Slavonski Brod, 2004., ISBN 953-217-083-9 (MD). The book has 132 pp, A4 format, accompanied with numerous photos. It seems to be the only monograph dedicated to her work and life. This is a little film about a great but now not very well known Ballet Russe de Monte Carlo prima ballerina - Mia Slavenska (1914-2002). First, there is an interview with Mia. Then there is footage of the dancer discussing and performing part of 'La Mort du Cygne'. Finally there is her solo in 'Pas de Quatre', performed on television in the Bell Hour in 1960. Mia Slavenska, a ballerina celebrated both for her authoritative technique and for her red-haired beauty, died on Saturday at a retirement center in Los Angeles where she had lived in recent years. She was 86. A glamorous dancer with a vivid stage presence, Ms. Slavenska was especially known to American audiences as a ballerina with the Ballet Russe de Monte Carlo. She appeared with it at its New York debut in 1938 and danced coast to coast with it at various times in the 1940's and 50's. But she took occasional leaves from the Ballet Russe to head small touring groups of her own. 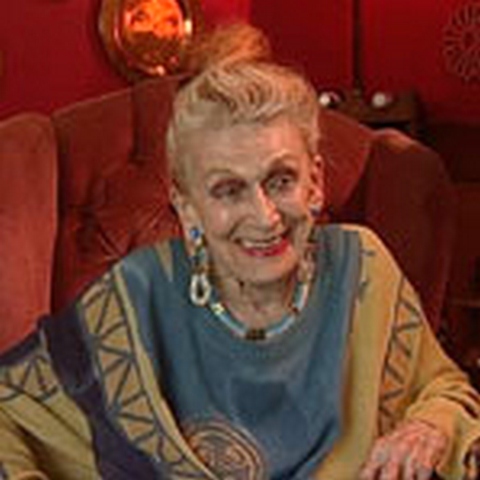 Mia Slavenska died in a California retirement home on October 5, 2002. On April 18, 2005, her ashes were interred in the Mirogoj Cemetery in Croatia's capital Zagreb. In 2004 a commemorative marble plaque was placed on the walls of the house in Brod na Savi in Croatia, where she was born, with the following inscription under her name: Croatian ballerina inscribed in the history of world ballet of the 20th century. She was named "Beauty, graciousness and harmnoy." As we have said, a biography on Mia's life was published in Croatia in 2004, see [Đurinović & Podkovac]. The teacher, choreographer and ballet director Mia Slavenska, who has died aged 88, was a star of the Ballet Russe de Monte Carlo. Her career was mainly in the United States, but she was seen in Britain with that company in the late 1930s. She returned, at the invitation of Anton Dolin, to dance as a guest with Festival Ballet at the old Stoll Theatre in London in the 1950s and gave a new generation a glimpse of her fabulous technique and warm, strong personality, as well as her striking red-gold hair. She was born Mia Corak in Brod-na-Savi (later Slavonski-Brod, from which she took her name), in Croatia. She studied at the ballet school of the National Ballet Theatre, Zagreb, with Josephine Weiss and Margarita Froman, and then in Vienna where, she always maintained, her teacher Leo Dubois gave her a true understanding of classicism. 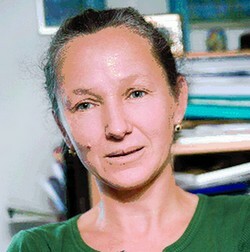 Subsequently, she studied in Paris with the great Russian émigrés, Kschessinskaya, Egorova and Preobrazhenska. 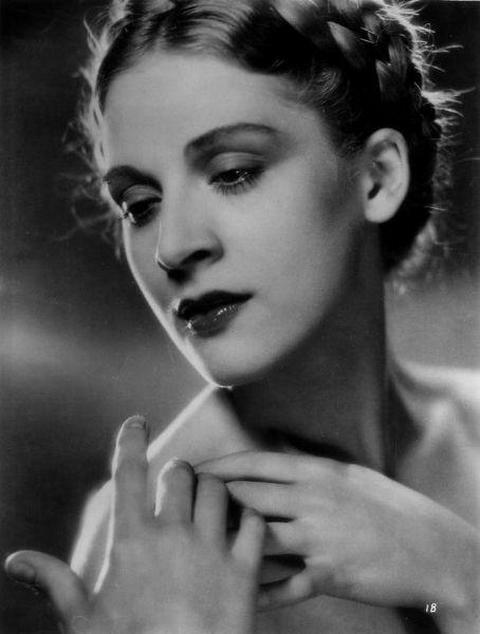 In 1937 she starred, alongside Yvette Chauviré, Serge Lifar and the very young Janine Charrat, in J Benoit-Levy's film Le Mort Du Cygne (released in the US as Ballerina). The film had nothing to do with the solo Pavlova made famous, but concerned two rival ballerinas and an adoring petit rat (played by Charrat) whose interference causes an accident which cripples one of them (Slavenska). 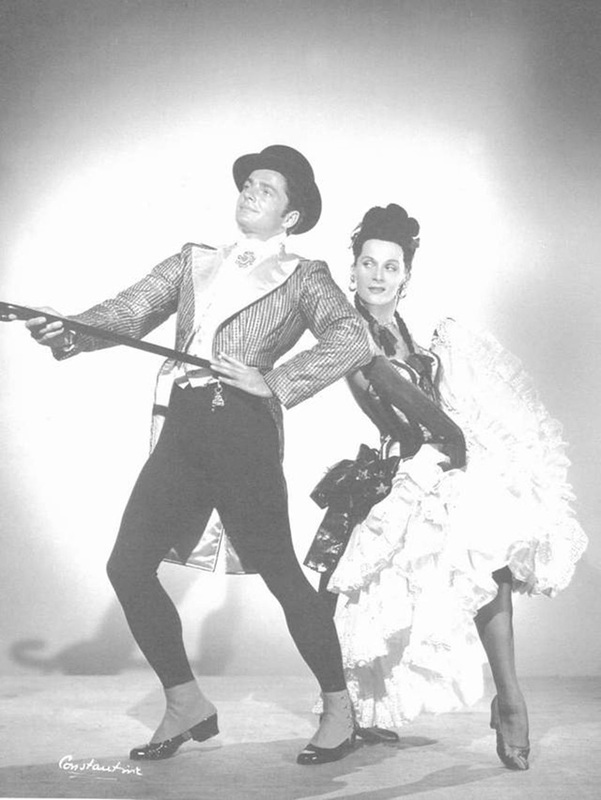 The film, with choreography by Lifar, enjoyed much success at the time. The following year Slavenska joined the Ballet Russe de Monte Carlo and danced principal roles, creating many, in works by Massine, Nijinska, Lifar, Balanchine and Ashton, as well as dancing all the great ballerina roles in that repertory. With the company she toured the western hemisphere, but in the 1940s settled in the US and was naturalised. She guested with many companies, but spent more and more time with her own small touring groups, notably the Slavenska-Franklin Ballet, which she directed with her English-born partner Frederic Franklin. She had one of the last triumphs of her dancing career, as Blanche in Valerie Bettis's version of A Streetcar Named Desire (1952), with this group and the role confirmed her exceptional dramatic ability. The ballet has survived in other repertories, notably and most recently with Arthur Mitchell's Dance Theatre of Harlem. When she stopped dancing, she became a favourite ballet teacher, first in New York and then in Los Angeles. She also worked with and advised some of the regional US ballet companies and for three seasons was director of Texas's Fort Worth Civic Ballet. Slavenska married Kurt Neuman in 1946. Kurt died in 1983, and she is survived by their daughter, Maria. 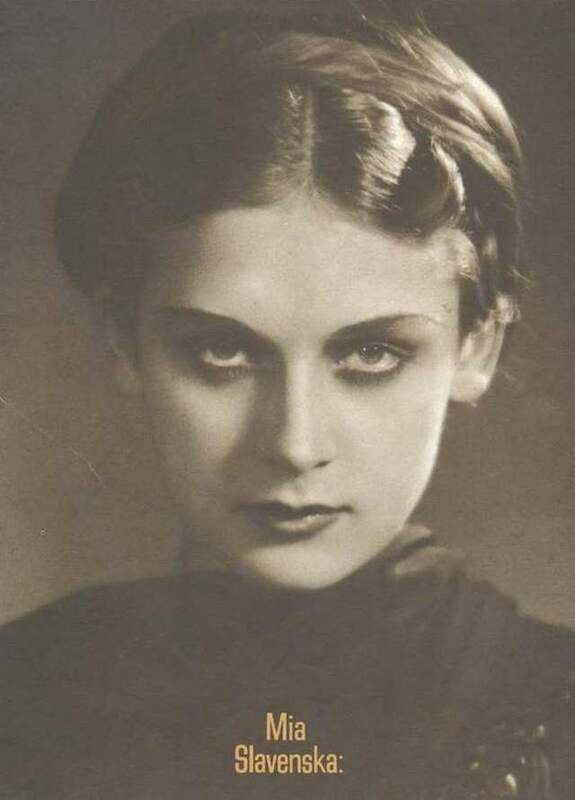 Mia Slavenska, dancer and teacher, born February 20 1914; died October 5 2002. 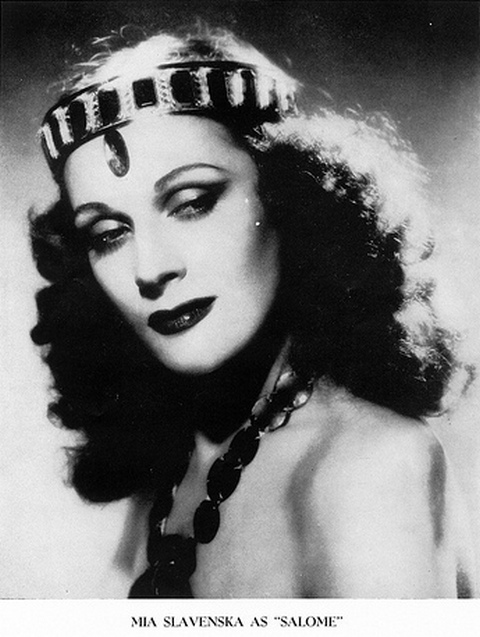 Mia Slavenska was born in Brod na Savi, Croatia, on February 20, 1916, the daughter of Milan and Heddwiga (Palme) Corak. Her early teachers include Josephina Weiss, former Ballerina of the Vienna State Opera, Margarita Froman, ballerina of the Bolshoi and Maximilian Froman, soloist of the Bolshoi. Mia Slavenska was a student at the Royal Academy of Music, Zagreb, Croatia for five years, where she majored in piano. She studied ballet in both Vienna and Paris. At age 12, in Vienna, she studied with Leopold Dubois, ballet master and first dancer of the Vienna State Opera, and modern dance with Gertrud Krauss, later the foremost proponent of modern dance in Isreal. In Paris, her teachers included Mathilda Kchessinskaja, Olga Preobrajenska, and Lubov Egorova, Prima Ballerinas of the Maryinsky Theater. In New York, she completed her ballet training in the Cecchetti Method under his protégé Maestro Vincenzo Celli. She came to the United States in 1939 and was naturalized in 1947. She married Kurt Neumann and had one daughter, Maria. I have just watched the doc on TV in Canada. I was not aware of Mia Slavenska before. As a child I grew up in the UK watching Alicia Markova, Anton Dolin, then Margot Fonteyn. I would love to have seen Mia Slavenska; she seemed to fill the stage with raw artistic energy. Thank you so much for the doc. I'm so glad Mia returned home and that she is not forgotten.